ACM/SPEC ICPE 2019 will be held in the Victor Menezes Convention Centre (VMCC), which is located within the campus of the Indian Institute of Technology, Bombay (IIT Bombay), situated in the suburb of Powai, in the city of Mumbai, India. Read this page for information regarding the venue, how to get there, local transportation and other useful tips about Mumbai. 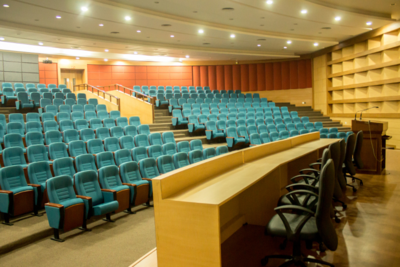 VMCC is a five-floor convention centre with a 350+ capacity auditorium and several other mid-size seminar rooms and conference rooms with a total capacity of almost 1300 seats. All ICPE day events, including the main conference, workshops, tutorials, meetings will take place in VMCC. There is a dramatic foyer area which will be used for posters and demonstrations and lunches. Air-conditioned (AC) Volvo Buses will be arranged from the main conference hotels to VMCC to bring participants to the conference and drop them back to the hotels in the evenings after the conference. Alternatively, Uber operates very well in Mumbai and conference attendees can choose to commute on their own using Uber. (See “Local Transportation” section). While some conference hotels will be walking distance from the VMCC, it will be very hot, and we do not recommend this mode for international visitors. IIT Bombay is located in a 500+ acre campus in the northeastern suburb of Powai in Mumbai. The campus has a mix of old (about 60 years) and new buildings nestled in lush green space. IIT Bombay is a residential campus, so student dorms as well as faculty housing is on the campus, and this makes IIT Bombay a township in itself. 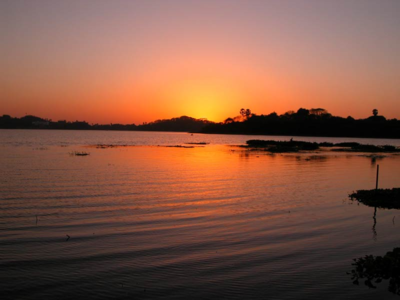 The campus is next to the serene Powai Lake and separated from a national park by just a few hills. 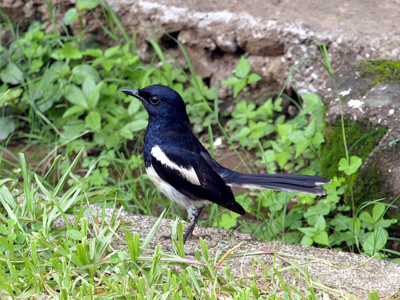 A vigorous defense of green cover inside the campus and conservation-friendly philosophy of most campus residents has resulted in IIT Bombay being able to boast of diverse flora and fauna which co-exist peacefully with campus residents and academic buildings. 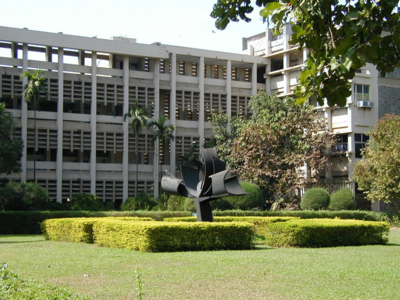 IIT Bombay campus is located in the suburb Powai, which is about 30 km north of downtown Mumbai (“South Bombay”) and 10 km east from the International Airport. As you step out of the IIT “Main Gate” you are greeted by the frenetic buzz of regular Mumbai life in an area known as “IIT Market”. At IIT Main Gate, a major highway of Mumbai (Jogeshwari-Vikhroli Link Road) intersects with the small bylanes of old Powai and the main road of the campus. There is an open vegetable market, scores of small shops, and residential apartment buildings. Those interested in watching the regular “Mumbaikar (Mumbai resident)” life can climb up the pedestrian footbridge at the Main Gate and just watch all the action at this intersection. Just a little further west on the highway (still walking distance from IIT Bombay), a left turn takes one into a world of plush high rise apartment buildings, upscale supermarkets, shopping centres, and trendy restaurants. Here, global restaurant chains and cafes (e.g. Chili’s, Harry’s, Starbucks) compete with innovative local entrepreneurs (e.g. Sodabottleopenerwala, Sigree, Chayos) to attract customers looking for different cuisines and ambiences. This area is known as “Hiranandani Gardens”. Some accommodation for ICPE 2019 will be available in 4,5-star hotels in this area and organizing committee dinners are likely to be here (details will be made available later). Conference attendees can easily find a variety of interesting restaurants here for their evening meals. IIT Bombay is located in Mumbai - a bustling metropolis of over 20 million people that is both the financial and the entertainment capital of India. Mumbai is a city of stark contrasts - where people featuring in Forbes billionaires lists live not too far from people struggling for mere survival. Miraculously enough, Mumbai manages to be a fairly efficient and safe city - where millions of people commute daily to work using local trains, buses, ‘autorickshaws’, taxis and on foot and work hard to achieve their dreams; working women here routinely travel alone late at night from work, in trains, buses and also alone in the yellow-black taxis or Uber/Ola taxis. Mumbai is not a conventional ‘tourist’s city’ - the discerning visitor should simply take in the vibe of the city and try and understand what makes it tick. Even so, while in Mumbai, you can spend a day or two to visit South Bombay, where a large number of heritage buildings from the colonial era exist and are still very much in use. You could visit the 6th century Elephanta Caves (Hindu rock-cut temples on an island off of Mumbai) or the 1st century BC Kanheri Caves (Buddhist rock-cut monasteries at the northern end of Mumbai, inside Sanjay Gandhi National Park). You can also visit the charming suburb of Bandra, with its Churches and sea-side promenades. Mumbai is very well connected by air to all the major cities in the world. If you fly by your home country airline, you are sure to even find a direct flight. International flights arrive to the new jewel of Mumbai - ‘T2’- the beautifully designed Terminal 2 building that doubles as an art museum for all sorts of art displays. When you land in Mumbai do not forget to take in all the art displays as you walk from the airplane to Immigration, (Hold on to your boarding passes! These are often asked to be seen by immigration officials). Mumbai has all the facilities of a modern city. There are plenty of luxury chain hotels, restaurants, malls. Credit cards (Visa, Mastercard) are accepted everywhere, and ATMs are easy to find where cards on the standard global networks will easily work. 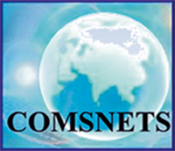 Cellular coverage is very good, we recommend you purchase an international roaming package with generous amount of data from your cellular provider. This will enable you to freely use Google Maps (Mumbai is mapped very well and you will get perfect directions, and never feel lost), Uber/Ola and even order a Domino’s Pizza online if you get that craving during your visit here. Mumbai will be quite hot in April (30 deg C). Temperatures do not vary too much through the day - evenings will be better but not that much cooler. The conference venue, hotels and any restaurants we go to will be air-conditioned, and if you travel in AC vehicles, you can escape the heat for the most part. However, do plan your attire accordingly. No rain is expected in April.